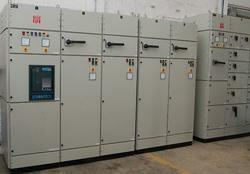 We are counted amongst the top companies involved in offering a wide range of Electrical Control Panels. These are designed for multiple inputs and output arrangements, extended temperature ranges, immunity to electrical noise, resistance to vibration and much more. These are highly reckoned among our clients due to their high tensile strength and durable nature. We also assure safe and timely delivery of our products. 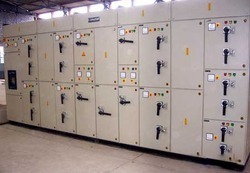 Electrical Panel Keeping in mind the diverse requirements of our clients we are involved in manufacturing, supplying and exporting a wide array of Industrial Electrical Panels. These panels are complete with required wiring and harnessing that minimizes the site installation time. Offered products are completely tested on various parameters before they are dispatched to our clients. Additionally, we offer our products at very reasonable prices. 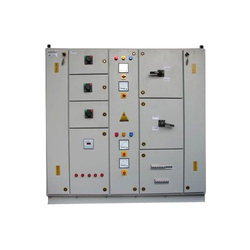 Power Distribution Board We are the leading manufacturer and supplier of Power Distribution Board.Which are highly used in domestic and industrial purposes.We always attempt to bring values to our customers by providing them most convenient and efficient products at highly competitive price. These boards are coated with epoxy powder on the surface, helping to protect against corrosive environment. We offer our Distribution board in one or two door design. 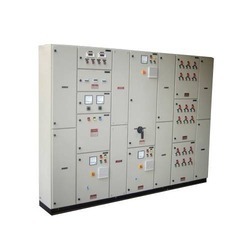 ACCL Panels A fully automatic high precision system for efficient distribution of individually rationed generator power in multi storied apartments, commercial complex etc. An Advantageous and cost effective alternative to conventional manual changeovers. Looking for Electrical Panels & Accessories ?